I already posted this Photo here in the Steem Blockchain about 4 months ago. But whats missing is the explanation, the details of the photo, the way I edit it, the way I shot it and the settings of the camera. As a Photographer, light is always our friend. I agree, but when the light is not available, and you don’t have any available light resources because you are inside a covered court and an evening session it seems difficult for me/us. I make myself more creative, what if we will not be depending on the light. What will matter is the way how we shot the photo. 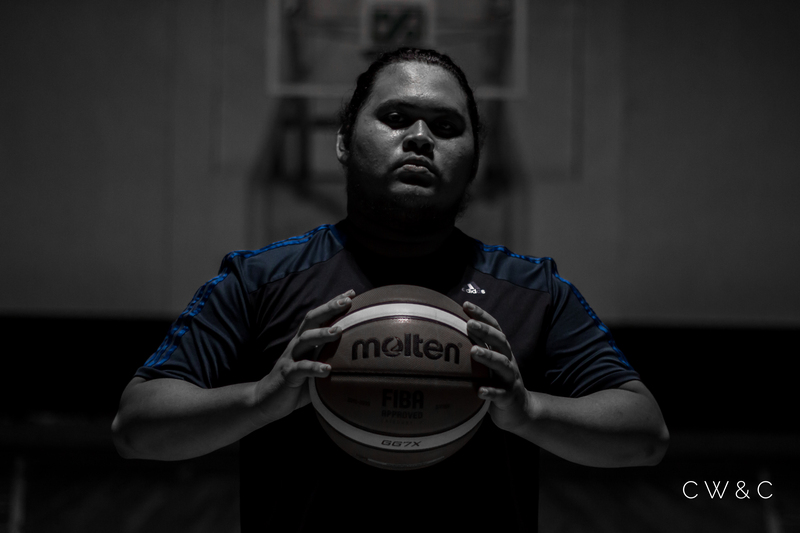 So there was still a center light after their game, I told Mr. Bacay to face a little bit up, and be more fierce. I also suggested that – what if you grab a ball and make it look like you sqeezed it? I took a few shots, about 6-9 shots. The output was perfect, thanks to our Canon 1.8f 50mm over rated lens for everyone. My first shot was a little bit noisier, I adjusted the light exposure on about 800 ISO – 1600 ISO. After the shot, I still need to be more creative since I intentionally want this photo to make it black and white and also sharpen his face to make his sweat, flaws and skin more visisble. But the black and white did not work out for me, as it seems there is something missing. Well then I guess I will have to go on another way. The Plan B was to make every color less saturated and make the blue color more visible. What do you think? P.S. Photo and Watermark is Official mine.